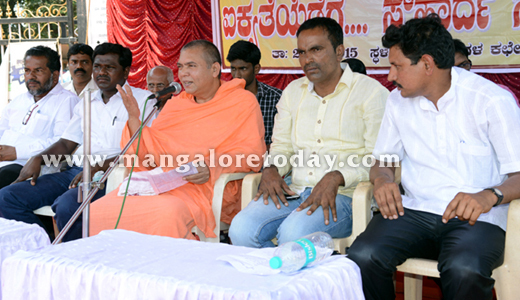 Mangaluru, Feb 24, 2015: Religious intolerance is the greatest threat faced by the world at present, opined SrI Veerabhadra Chennamalla Swamiji of Shri Nidumamidi Mutt. 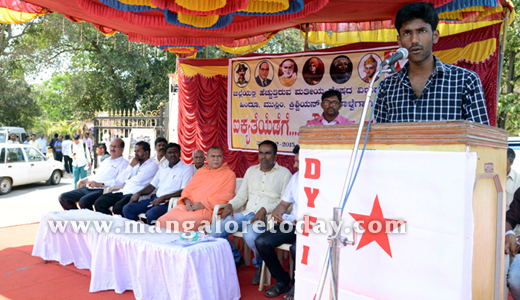 Speaking at a “Harmony March Towards Unity” rally organised by the DYFI, SFI and other like minded organisations in the city on February 24, Tuesday, the seer regretted that violence and bloodshed was mainly owing to lack of religious tolerance in modern day society in a land which was known for peace and harmony. 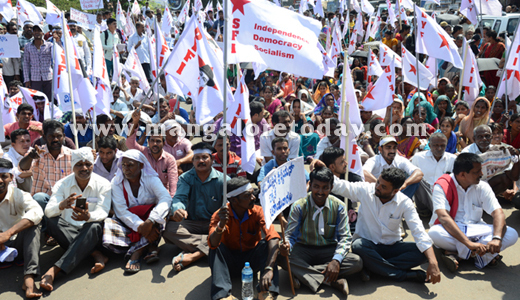 Lashing out at politicians, the seer blamed the political class for its attempts to divide society on caste, creed and community lines. 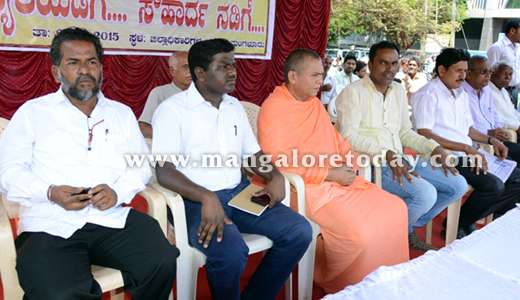 “India can prosper and progress when people of all faiths live together in peace, harmony and brotherhood,” he further added. 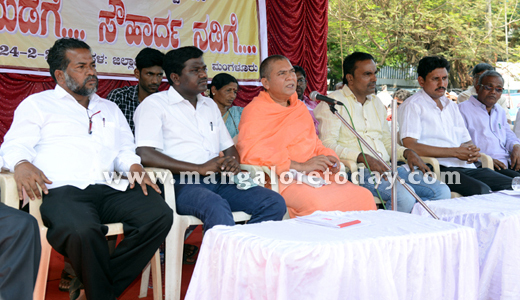 Commenting on the Samajotsavas organised by the Hindu organisations, the Nidumamidi seer said the need of the hour was Samaja Sudharana Utsavs (Fests that bring about social reforms) and not Samajotsavs. 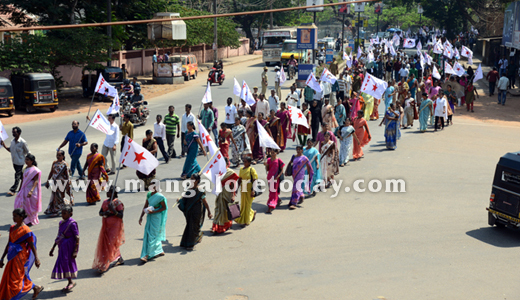 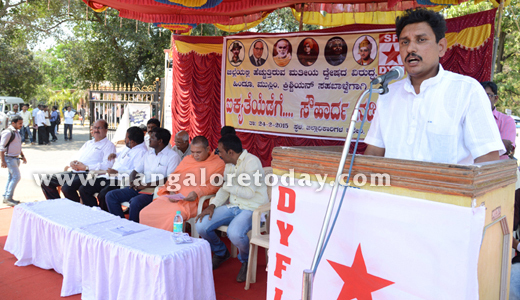 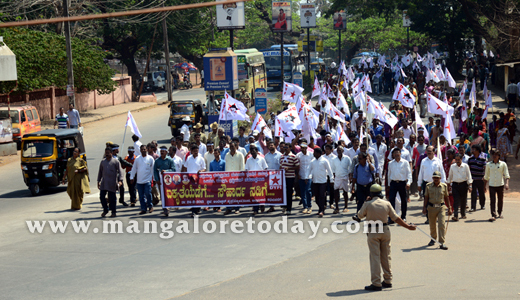 The rally was earlier inaugurated by Dayananda Shetty, District President of DYFI. 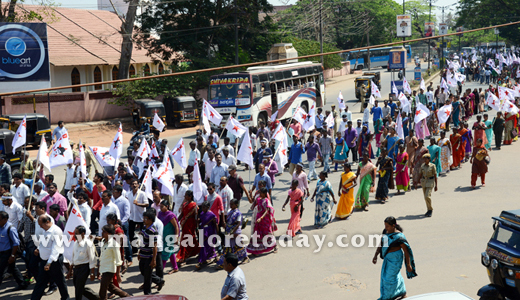 Several leaders including Muneer Katipalla, State President of DYFI, V Ambarish, State President of SFI, Santosh Bajal, Secretary of DYFI, Charan Shetty, SFI Secretary and others participated in the rally taken out from Ambedkar Circle to DC Office.